Go Noodle! I Like To Move It, Move It! 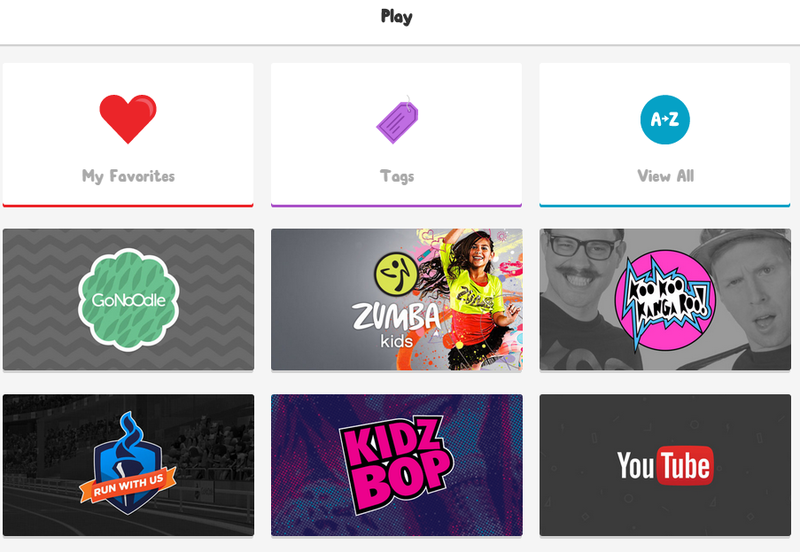 Twitter introduced me to a website called GoNoodle. Recently, I’ve seen tweets from a LOT of educators that are singing the praises of this GoNoodle thing. A lot. This thing is quite popular in the edu Twittersphere. So I checked it out. I honestly didn’t get it. It seemed silly, and parts of it are downright goofy. It is just a collection of very short videos. I want to say ‘music videos’, but I’m not even sure if I can call most of it music. There was some of that Kids Bop stuff I’ve seen, but then there was an animated turkey with maracas…and a singing cartoon brain…and two guys doing talky-singsongy thing about how they love to make weird noises. I saw a ridiculous claymation character doing some sort of sound production (song?) called Flex. There’s even a flying pig song. Like I said, I didn’t get it – at all. Fast forward two weeks. Teachers on twitter are still talking about how great GoNoodle is. Teachers tweet that their students absolutely love it, and GoNoodle has been a saving grace for the dreaded indoor recess. I needed to take another look. Okay, so I already had signed up for the free account and chosen a requisite class critter mascot, which GoNoodle calls a champ. I didn’t originally understand the significance of a ‘champ, so this time, I looked at the FAQ’s on the website and it explained that…. Once I got to the main screen of offered categories. It looks like this. Ooooh, I thought. This has to do with that neuro-science stuff about how movement can enhance learning. Short bursts of activity are supposed to get those brain juices flowing, wake up endorphins, pump adreneline, and help people focus better. In my district, we even get evaluated on this (allow opportunities for movement) in our teacher observations. GoNoodle calls these ‘brain breaks’. So, still unsure about this whole thing, I decided to bring up GoNoodle at a recent teacher workshop that I did. My friend who teachers transitional 1st graders kept saying, “Oooh, my kids would LOVE that!” (She even liked the turkey with maracas and the singing brain!) Well, then I showed it to a 3rd grade teacher. I was pretty sure she’d say that it was way too silly for her 8-9 year old students and that it would only rile them up. Quite the contrary – she thought that it would be great to use with her class, too! (It did help that we found “Let it Go” from Frozen, “Everything is Awesome” from the Lego Movie, and some cool Zumba stuff.) Even my principal, who stopped in for this workshop, seemed to get a kick out of the silliness and kid-friendliness of these short, sassy, movement-inducing, wiggly brain break videos. Aha! (There you have it…one of those aha moments.) I get it now! I had to turn off my middle-aged brain and think like a kid. This stuff is FUN! Wiggling is good! Kids need this! And it really IS great as an indoor recess idea, too! I’m looking back at the 2nd paragraph of this blog, and all those things I thought were ridiculous are SUPPOSED to be ridiculous…that’s the point! 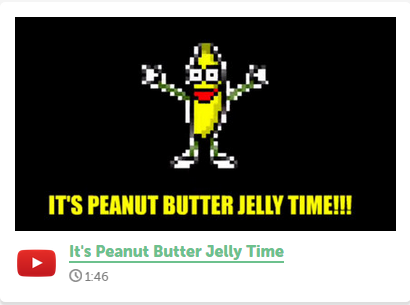 That’s what makes GoNoodle awesome! « Set D.U.M.B. Goals, Not S.M.A.R.T. Ones!